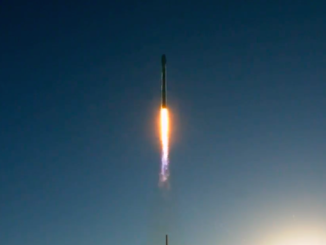 SpaceX’s Falcon 9 rocket took off for its sixth flight of the year Monday from launch pad 39A in Florida, lofting an Inmarsat mobile broadband communications satellite to an orbit more than 40,000 miles above Earth. 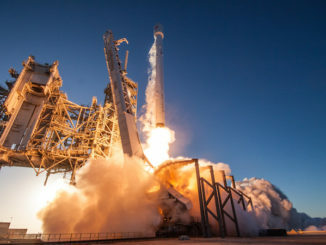 A Boeing-built satellite on the way to join Inmarsat’s globe-spanning network geared to beam Internet and data transmission capacity to airline passengers, maritime crews and military personnel flew into orbit Monday from NASA’s Kennedy Space Center in Florida aboard an expendable Falcon 9 rocket. 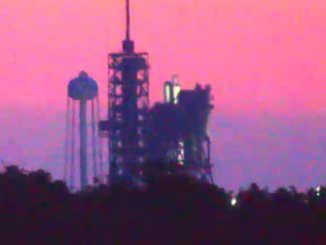 Check out a replay of Monday evening’s launch of a Falcon 9 rocket from Kennedy Space Center in Florida in this video recorded from the Launch Complex 39 Press Site around three miles from the pad. 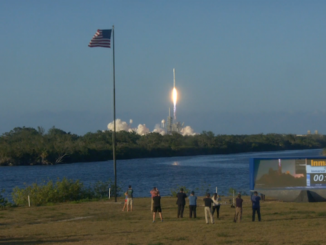 Miss Monday night’s launch from Kennedy Space Center? 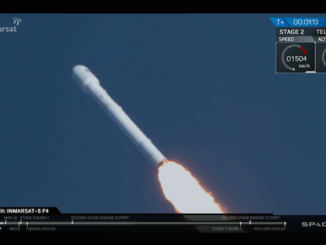 Watch a replay of the Falcon 9 rocket taking off with the Inmarsat 5 F4 communications satellite, a heavyweight spacecraft designed to link airliners, ships and others on-the-go via broadband. 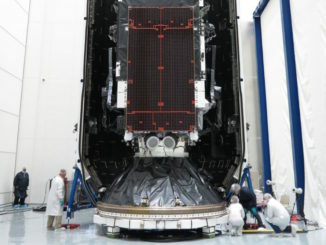 Engineers from SpaceX, Boeing and Inmarsat spent the last few weeks preparing a Falcon 9 rocket and the Inmarsat 5 F4 communications satellite for liftoff from NASA’s Kennedy Space Center in Florida. 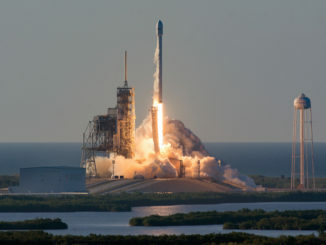 A Boeing-built communications satellite lifted off at 7:21 p.m. EDT (2321 GMT) Monday on top of a SpaceX Falcon 9 rocket from NASA’s Kennedy Space Center in Florida. 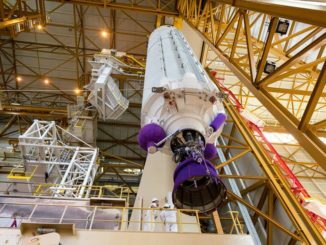 The spacecraft will add to Inmarsat’s Global Xpress network linking airplanes, ships and other mobile terminals with broadband Internet and data services. 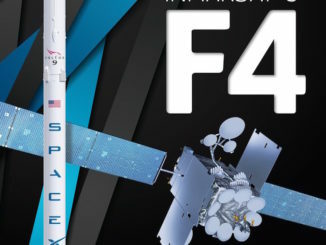 SpaceX’s Falcon 9 rocket is set for liftoff from Cape Canaveral early Thursday, heading due east over the Atlantic Ocean to deliver the Inmarsat 5 F4 communications satellite into orbit 32 minutes later. 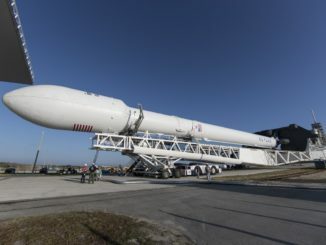 A SpaceX Falcon 9 rocket is set for launch from Kennedy Space Center in Florida on Monday with a mobile broadband communications satellite for Inmarsat.